Exfoliation on a regular basis is necessary to keep skin healthy. This allows removing dead cells and, in this way, it is possible to clean and improve the appearance of it. Coffee has many positive effects that can be applied to cosmetics. This Coffee Scrub infusion has many cosmetic and aesthetic benefits for the skin. Therefore, it is very useful to learn how to prepare a homemade coffee scrub rather than buying cosmetic products with chemicals. How to prepare a homemade coffee scrub? The properties of coffee can be used for both facial and body skin. The only important thing is to learn how to make a homemade scrub so that it can be used at any time in the right way. To follow, the recipe of 3 coffee scrubs is explained to improve your complexion. The invigorating coffees exfoliate serves to stimulate at the same time to clean the skin and make skin soft. Mix the ingredients until a kind of homogeneous paste is formed. Apply the ointment with circular movements. Rinse your skin gently with cold water. In the case of preparing it with olive oil, it is better not to use moisturizer afterward because that effect is already given by this food. It is also important to note that, instead of using a spoonful of olive oil, you can also use pure honey or yogurt (dahi) according to the skin. The cleansing effect of the extreme cleaning scrub is more powerful for both the face and the rest of the body as well as for stretch marks. Stir sugar in the coffee first and then add the oil little by little. Mix it with cold water and apply the exfoliant on the skin. Coffee is also good for combating cellulite, so you can make exfoliate that in addition serves to enhance this effect. Mix all the ingredients until a homogeneous paste is formed. Apply on areas of the skin where there is cellulite with circular movements with pressure, but without it being painful. Let the cream act between 5 and 15 minutes. Then, rinse with plenty of water. The coffee scrub has many benefits, but depending on each type of skin, changes in ingredients can be done to suit your skin. In the case of having mixed or fat skin, it can be used once a week. If your dry skin it is better to do it every 15 days, which is, approximately 2 times per month. 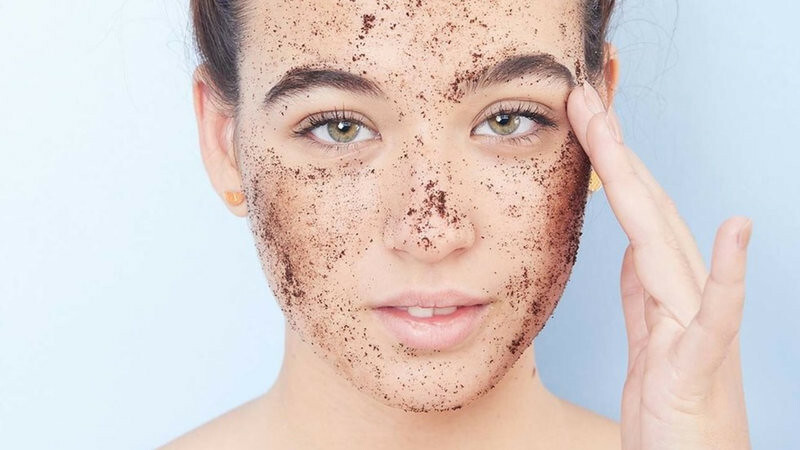 What is the best time to apply coffee scrub? One of the best moments to carry out an exfoliation is after a warm bath when the pores are more open by steam. Another good opportunity is before applying an anti-cellulite cream, that way the effect of the product is further enhanced. Also, another time to exfoliate the skin is after playing sports because the body has already expelled many of the toxins harmful to the body. Coffee can be and best beauty products, the best face scrub as; coffee contains antioxidants, which can slow down the aging process. Yow might wonder how it works? Well, when you drink or apply coffee, it enters the body, it releases helpful substances, which absorb and get rid of harmful toxins in the body. Besides this, it helps to fight the cell’s damage in the skin, particularly wrinkles and sagging. Below are some of the health benefits of drinking and applying coffee. It allows the removal of dead skin cells, which makes the skin gain in smoothness and uniformity in tone. In addition, increases the production of collagen. Coffee makes the skin more prepared for sun exposure and enhances tanning. Therefore, do not forget to apply products with this infusion in summer and so the color will last longer. Coffee is a stimulant of the circulatory system and also of the lymphatic system. Therefore, it is good to avoid fluid retention. Because it is stimulating, coffee is also optimal for reducing cellulite. Thanks to its effects it helps to lower the swelling. If you are one of the people who use the scrub frequently and does not have much time to prepare it, it is best to make a larger amount to refrigerate it. That way, you can use it when necessary without losing much time. Coffee is also very good in the case of taking it as an infusion. Did you think coffee can serve as a stimulant? However, you are wrong, besides this coffee has many health benefits such as, could prevent diabetes and some other health disorders.